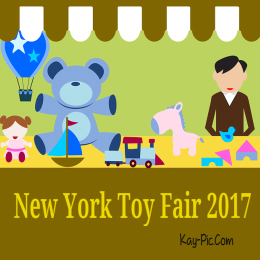 The New York Toy Fair 2017, is an annual fair with over 1000 exhibits, where all the big names in the toy industry flock to New York to show off their goods. In an attempt to become the No1 must have toy of the season. We have reviewed 10 of the big winners, giving you the opportunity to make your decision to buy before the Annual stampede. Check out each of these done for you reviews, on toys that will be on many Kids and Parents wish lists for Christmas and Birthdays. This is the first hot list reviews we have done for you for 2017, for many toys that if the main toy fair in New York is correct, many will not be left on the shelf. So it may be in your interest to have a look at our reviews and decide early. One of the highly anticipated toys to hit the market is the Barbie Dream Horse and Doll. This toy set is one that can help your child create hours of fun and imaginative play. When it comes to fashion dolls, animals go hand in hand with helping bring the doll to life and kids of all ages love to play with these special additions to the Barbie line. Though there have been many different horses sold along with the fashion doll over the years, this one is unique from all of those. Instead of having to rely on themselves to interact with the horse, this one is interactive all on its own. There’s also a saddle and reins included - which are both pink, of course! The fashion doll can proudly sit in the saddle and ride along with her beautiful horse. There’s a waist clip so that your child can secure Barbie to the saddle so she won’t have to hold her on the horse as it moves. This particular Barbie doll comes already dressed in riding gear, so you won’t have to get that separately and she also comes with a helmet. This is definitely going to be at the top of many children’s wish lists in 2017!